At Law Office Of Miya Griggs, our attentive staff is available Monday through Friday to answer all of your questions and make sure you are 100% satisfied. 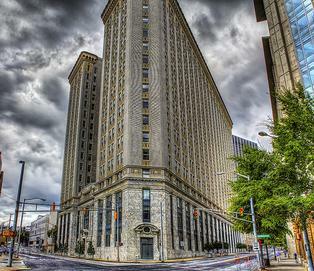 The Law Office of Miya Griggs is located at 50 Hurt Plaza SE, Suite 817 Atlanta, GA 30303, in the Hurt Building which is the heart of downtown Atlanta. A beautifully constructed 18-story skyscraper, the Hurt Building was built by Joe Hurt in 1913 with a final completion in 1926. A flatiron design and classic architecture, it occupies a triangular site, with the rotunda that consists of a moderate dome set on marble columns acting as an entrance to the Hurt Building lobby.